Born from the partnership of two men and two know-hows, Excellia Tequila marries to perfection the agave and grape characters, the spirits and wine worlds. Excellia is a blend of authenticity and innovation built upon deeply rooted traditions. - Los Altos (Jalisco, Mexico) generating sweet, soft and fruit agave. - Sauternes region (France) providing delicate dried fruit and flower notes and a prefect balance between acidity and sugar. - Cognac region (France) producing the finest brandy and its so specific rancio character. A unique ageing in grand cru sauternes wine casks and in cognac barrels completes this very authentic tequila making-process. Once blended, Excellia is bottled and labeled by hand and is the medallion and the cap. This handcrafted process ends with an ultimate check, each person in charge placing their name on the bottle. Rested a few weeks in grand cru sauternes wine casks and cognac barrels, Excellia Blanco is clear with a faint of gold shade. The nose reveals cloves, tobacco and toast/brioche notes. 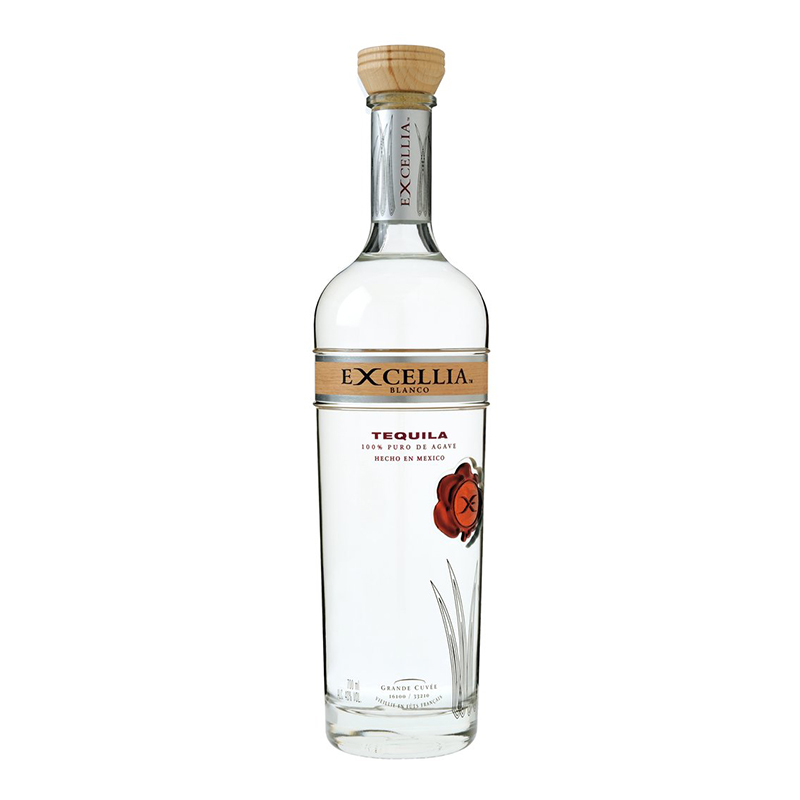 On the palate, Excellia Blanco is a complex mix of spices, vanilla, fruits and leather aromas. The finish is long on the mid-palate and presents dried spices and faint jasmine notes. With its golden straw colour, Excellia Reposado reveals a complex nose mixing honey, toasted wood, mushroom, dried lavender, jasmine and violet notes. The nine months ageing in grand cru sauternes wine casks and cognac barrels provide a round and extensive mouthfeel with rich honey, cigar-box, and caramelised-agave/pumpkin mixed with subtle rancio and orchard fruits. The finish is long and satisfying with spicy and earthy notes. Aged eighteen months, Excellia Anejo delivers dessert wines aromas (ripe and sweet grapes, dried apricots and pears) with evolving notes of rancio, baked spices and herbs, leather and sandalwood. The palate is intense and round with a strong and tannic woodiness along with fresh spices, tingling pepper and sweet charcoal notes. The long finish is gradual and revelatory with balanced lingering tones of cocoa and orchard.